Some producers are taking advantage of frozen ground conditions to apply nitrogen to wheat fields or manure to corn fields. While this practice reduces the risk of compaction or rutting of fields, there are other factors to consider. Applications to frozen ground are at higher risk for runoff and loss of those nutrients. When the soil is frozen or saturated, water is not able to infiltrate into the soil profile and the water and nutrients can runoff to adjoining properties or waterways. NRCS Code 590 prohibits the application of manure to frozen ground for this reason. The Kentucky Yield Contest photos have been posted online. Images were taken by Steve Patton in Ag Communications. Feel free to click on the pictures you want and download them for your use. Please join me in welcoming our new Grain Crops Coordinator, Colette Laurent. Colette is originally from Louisiana where she earned a B.S. in Animal Science from Louisiana State University before relocating to Kentucky. Colette worked as the Laboratory technician in the Soybean Cyst Nematode Lab and as research support at the Research and Education Center in Princeton, KY for several years prior to becoming the Grain Crops Coordinator. 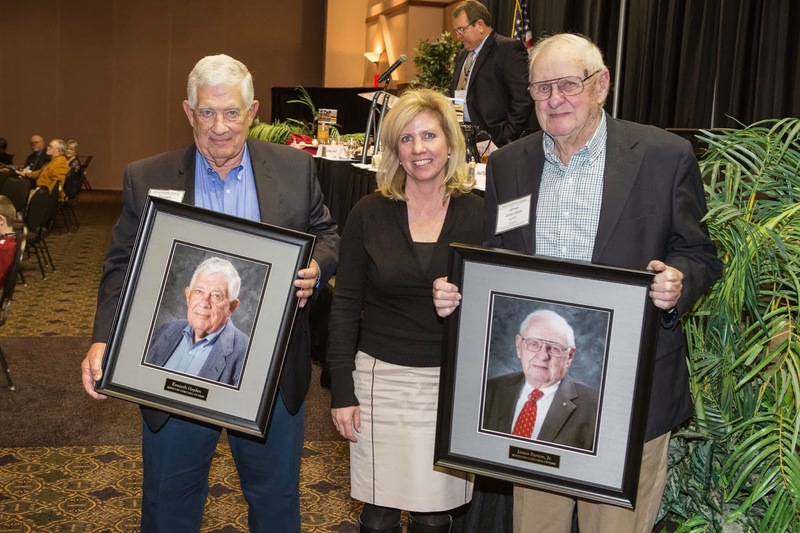 Colette’s new focus will be to coordinate the UK’s Corn, Soybean and Wheat groups’ extension effort to provide timely research-based educational programs for KY producers. Record low temperatures with periodic warm days continue to wreak havoc on this year’s wheat cropSome fields are beginning to show more pronounced damage while other fields have moderate to little damage. Producers wanting to make a nitrogen application now should consider utilizing a controlled release product. Other forms of nitrogen should be applied once the wheat crop breaks dormancy and begins ‘greening up’. 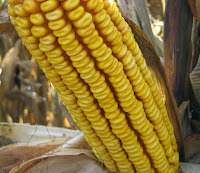 In 2011, we set up three commercial-scale, on-farm fungicide tests in fields of yellow and white corn in West Kentucky. It was challenging to balance scientific standards of experimental design with the need to keep it doable for the aerial applicator and the producer. Nevertheless, we did it and, to my surprise, a single fungicide application resulted in 20+ bushel yield increases in two of the three tests. We also observed improved stalk strength in one of the trials. Surprisingly, all of this occurred in the absence of significant disease pressure. (For more information, see the January 18, 2012 issue of this newsletter, at http://www2.ca.uky.edu/agcollege/plantpathology/extension/KPN%20Site%20Files/pdf/KPN1291.pdf.) Please note that, in one of those two trials, the fungicide application included an insecticide, so we can’t be sure how much of the yield increase was due to the fungicide. In any case, the results were impressive, and we wanted to repeat those experiments to see how robust our results were. Record low temperatures with little to no snow cover last week may have caused some damage on the wheat crop in Kentucky. The 2014 Winter Wheat Meeting is slated for Tuesday, January 7, 2014 at the James R. Bruce Center in Hopkinsville, KY. The meeting begins at 9:00 am and ends at 3:00 pm. Lunch is sponsored by the Kentucky Small Grains Growers Association. Topics on wheat include nitrogen management and fungicide use. Other small grains will be discussed as well, including rye, oats, triticale, and chia. Speakers are researchers from the University of Kentucky, producers and industry representatives. For more information about the wheat meeting, click here. We all knew that 2013 was a good year for corn in Kentucky. That good year resulted in some great yields in the corn contest. The 2013 Kentucky Yield Contest experienced the highest yield for a non-irrigated entry and the highest yield for an irrigated entry. Greenwell Acres of Union County had the highest non-irrigated yield at 297.22 bushels per acre. The Schwenke Brothers of Boone County recorded 365.11 bushels per acre, which the highest yield measured in Kentucky for irrigated corn. The Waller Brothers of Union County had the highest white corn yield, which was 294.22 bushels per acre. This also was the second-highest yield for any non-irrigated corn category. The state winners are as follows.